Sweet comic style girly-tattoo by Marc Lane. 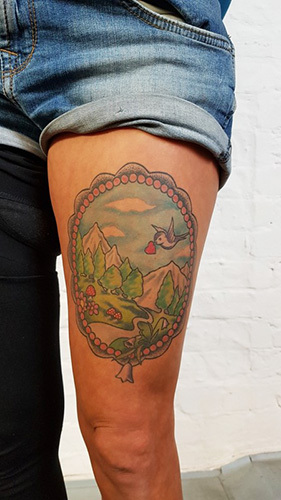 The picture frame gives a perfect finish to this colorful landscape and imitates the thigh’s shape. Get your Marc Lane design here.